So here it is, my Michelle Armas piece, titled 'Miller' hung in my living room. I'd be content to sit, sigh, and gaze at it A L L D A Y...but alas, I'm off to Blogfest 2012. Wooohooo! And besides I can have visitation with this picture any time on my iPhone. So, I must pack, and can't forget these bad boys... I'm LOVING these gam covers almost as much as my new art, and I've received so many compliments on how wicked hot my ikat pants are. So when you discover something amazing it's only appropriate to share, right?? Well, I highly recommend. Do you think my friend Melissa will mind if I wear them every. single. day?! Nah, because I'm going to make her get some too. 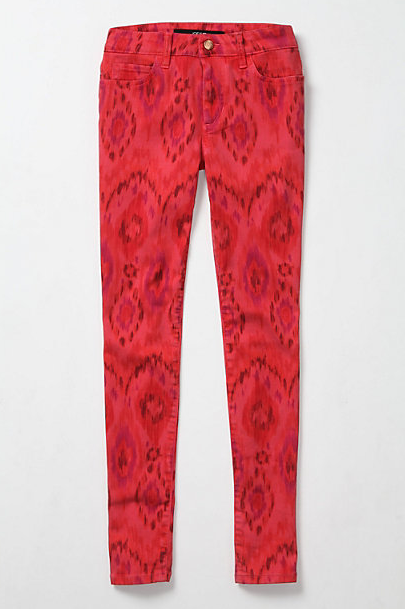 ;) Join the IPC (yeah, that stands for Ikat Pants Club) and get yours here. Seriously, do it. 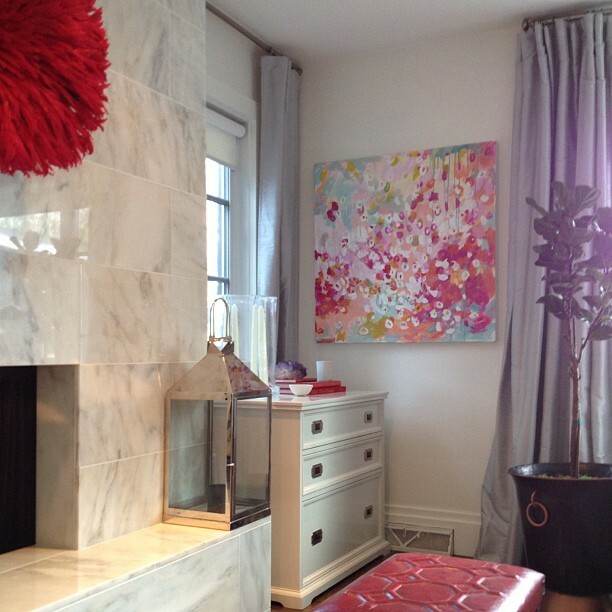 Fantastic art and perfectly suited for your room. Lovely and inviting. Sister- The painting and the pants are H-O-T! Keep it coming! Loving your pretty and charming blog, count me as your newest follower! Fantastic pants! Hope to see what styling outfit you put together with them! Love those pants! You and I have similar taste:) I am going to go check them out. Love the art and that's a perfect place for it! The art is so perfect! I'm highly jealous. I'm also highly jealous that you will be going to blogfest with those sick pants! Have fun! Well, I don't know! Membership to the IPC is a bit pricey...though they are pretty nice! We'd like to see you modeling them! Have fun at the fest! Those pants are gorgeous!! You have great taste! I love the art and Joe's High Water's! Do I spy a Juju on your fireplace? It is fabulous! Dude! My painting in your place, how cool! I was like wahhh??? I recognize that painting. So cool. Love your juju hat. Hope you see imitation as the sincerest form of flattery....ordered the pants and the Alexander McQueen skull scarf. LOVE them both! Thanks for the inspiration...all the way in Australia!